If you’ve been looking for your next grill, then the Weber grills should be at the top of your list. Weber is one of the most trusted names in grilling, and has long been associated with traditional charcoal grills. In fact, the Weber Original 22” Kettle Grill is often considered to be the best charcoal grill on the market, and the basic design has barely changed in more than 60 years. Charcoal is one of the most popular grilling fuel sources, but it’s not the most convenient or even the most cost effective. Charcoal has remained popular because it’s the fuel that most people are familiar with, but you can get an equal and many times a better grilling experience when you cook with gas. Weber gas grills (like their charcoal counterparts) are some of the best available on the market, and there are some excellent options in the mainstream price range. If you’ve been looking for your next grill, then the Weber grills should be at the top of your list. When considering the right match for a family or event, there is a wide variety of grills available to choose from. Each has unique features, functions, and sources of fuel, and price. Weber grills are categorized by their fuel source, and there is diversity in features within each series to cater to all grilling needs. 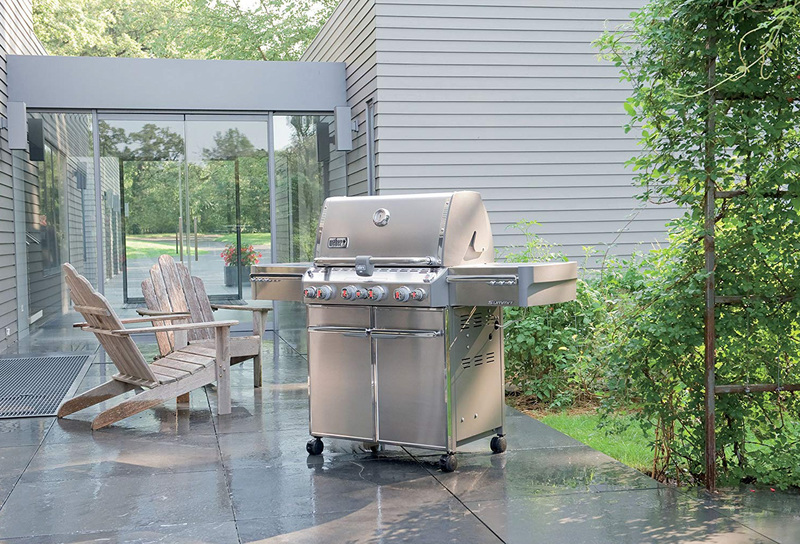 There are a couple of primary considerations when it comes to choosing the right grill, as well as some convenient extra features offered by Weber designs. The type of food being cooked as well as the party being served to are prime factors when looking at grill sizes. Weber provides the dimensions of a grill’s primary cooking area, secondary cooking area, (including side burners and warming trays), and total cooking area.For one or two people, a grill with approximately 200 square inches is the right area, where a family of four would be better served by 400 to 500 square inches. A larger party of five or more people is going to require a grill with at least 550 square inches. Choosing between gas, charcoal, or electric is really a matter of personal preference. A portable grill offers the same benefits and limitations as full-size models. After determining the proper size of a grill, the next consideration is how to heat the food. This can be limited by location (such as apartment buildings) but may also be influenced by cooking style or additional features like smokers to enhance the grilling experience. Charcoal briquettes can fuel the as well as add flavour to meats, vegetables, and other foods.Briquettes can bring a higher price tag, especially with regular usage, so operating a charcoal grill is often more expensive than running a gas grill. Weber charcoal grills also tend to have a smaller cooking capacity and fewer special features than gas models. Charcoal grills are known for their classic, smoky barbecue flavour. They tend to heat up at a slower rate than other fuel sources (20 to 45 minutes) and take longer to clean. 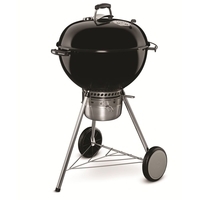 Weber charcoal grills range in size from 260 to 1,100 square inches. Prices can vary greatly, with a small charcoal grill running between $90 and $400. Medium sized units cost between $400 and $1,200, while the largest models tend to cost between $1,200 and $2,300. Gas grills are very common, and Weber has a variety of convenient designs. Weber’s gas grills run on either natural gas from your home’s line, or propane from a tank. Both will cook food quickly and evenly. A primary advantage of a Weber gas grill is that it will not require as much prep or clean-up time as an equivalent charcoal model. Many Weber gas grills feature side burners, and/or warming trays. Some models feature two burners, while others have up to six. Weber gas grills range in size from 500 to 1,000 square inches. A larger initial investment will be balanced by a lower regular maintenance/refuelling cost. Small gas grills can be found for a range of $500 to $1,000, while medium units ask for $1,000 to $2,400. The larger and more feature-inclusive models will run between $2,400 and $3,800. 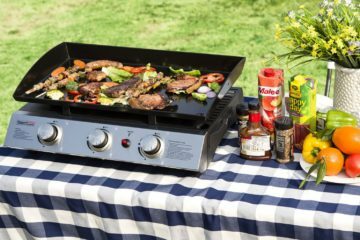 Weber offers a line of electric grills that cook the food on heated grill plates.Electric Weber Grills tend to be very compact, offering an ideal option for limited locations such as apartments. These models also provide for an indoor application, allowing more consistent and regular use of the investment. Weber electric grills are typically smaller in their cooking area, ranging in size from 185 to 280 square inches, and the cost is lower to reflect this difference. A small to medium electric grill will typically run between $299 and $349. 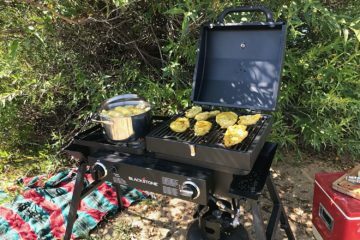 Beyond the smaller footprint of electric grills, Weber’s portable grills come in both charcoal and gas varieties, and all boast a compact, lightweight design. However, portable grills don’t offer much cooking capacity. This is geared toward much smaller groups or cooking different meal items in phases. These units are the smallest available with surfaces ranging from 145 to 240 square inches, but are also found at the lowest costs, only pushing between $35 and $70. 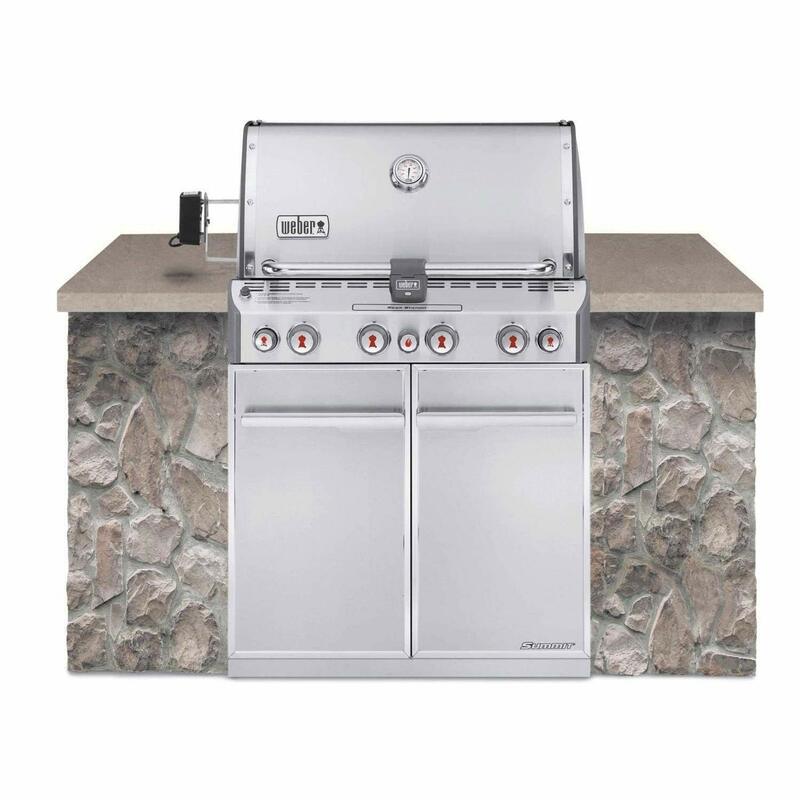 Weber Summit S-460 Built-In Natural Gas in Stainless Steel Grill. Freestanding grills have wheels, so you can easily move them around your yard, deck, or patio based on your needs. Built-in grills have a base usually made of stone or stainless steel. It is intended to be permanently anchored in place and should not be moved. Weber grill cooking grates are made three different types of material. The stainless-steel cooking grates are very durable and are very easy to clean. Plated steel grates provide even more longevity and convenience. Porcelain-enamelled cast iron cooking grates are comparable to their counterparts but can crack if dropped. 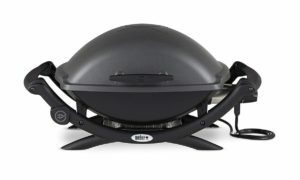 Many units may instead feature extra burners and/or warming trays for advanced grilling applications.Some Weber gas grills have a rotisserie stake, which slowly rotates and uses infrared heat to cook meat slowly.Many Weber gas grills have a built-in thermometer in the lid, which allows you to easily keep track of the temperature of the grill. If your model doesn’t have one, it’s a good idea to buy one separately, so you can cook more effectively and efficiently.For dimly lit staging areas, or night-time use of outdoor models, Weber includes models with backlit control knobs and/or handles. Making a Statement with your Weber ! Many charcoal purists will tell you that cooking with a charcoal grill is the only way to get authentic smoke flavor. In a basic sense this is true, but the problem is easily overcome by using a smoker box inside of a gas grill, which is exactly what you can do with Weber grills. This leaves the biggest advantage of the charcoal grill to be null and void, allowing you to take advantage of the numerous benefits of cooking with gas. The most important is that when you cook with gas, you won’t have to worry about any start up time. As soon as you ignite the grill, the burner will achieve the desired heat level within a matter of seconds. The cooking surface can be ready in just a few minutes, which is simply not possible with a charcoal grill. Even the most efficient charcoal fuel usually takes around 20 minutes to reach ideal cooking temperature, and that’s time that many people don’t have in this day and age. Just as the temperature can quickly be set, a gas grill can be turned off and made safe much faster than a charcoal grill. With charcoal, there’s a long cool down period and coal will usually maintain temperature for around three hours. With gas, simply turn it off, the cooking surface can cool in less than an hour with the grill lid open. Gas doesn’t require cleanup and there won’t be any small particles floating around your property and around your airways. There’s less chance for a fire or an accident, and gas overall burns much cleaner. No matter how you look at it, Weber gas grills are the more convenient and safer way to do your outdoor grilling. At the top of the list is the most versatile grill that Weber has to offer.The Weber Summit 7470001 S-670 Stainless-Steel 769-Square-Inch 60,800-BTU Natural-Gas Grill is a massive six-burner grill with many features that make it the complete package for outdoor grilling. 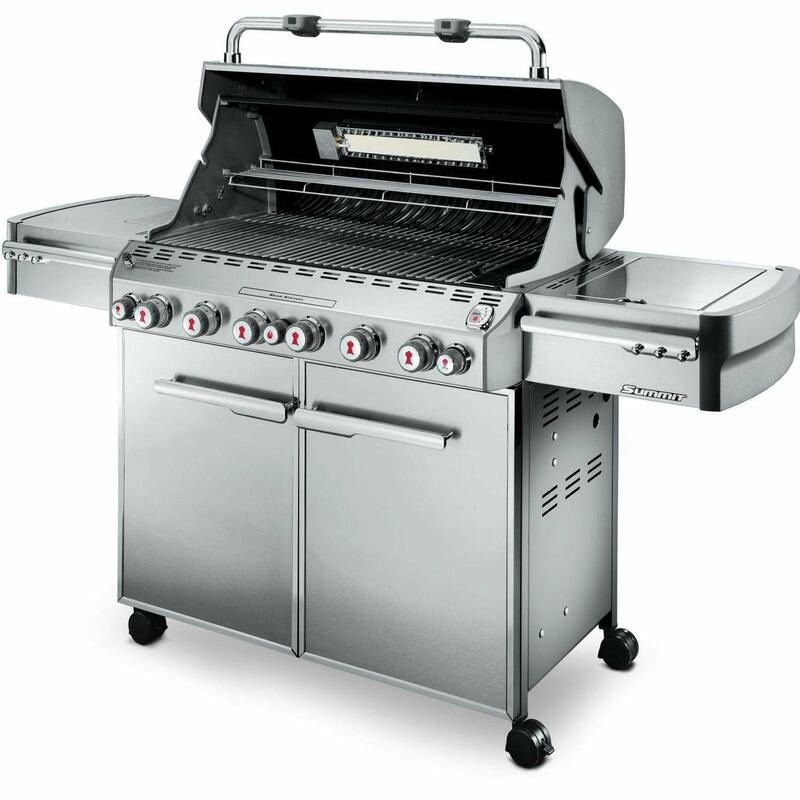 It boasts a side burner, rotisserie, smoker burner, and lights.This model is available with natural gas and liquid propane versions and stands as the absolute best in Weber grills.The considerable space and extra features mean a higher price tag, and this unit caters more to large gatherings as opposed to a small family backyard venture. A compromise on size and price gives the best dollar value with the Weber 45010001 Spirit II E-310 Black LP Outdoor Gas Grill. The newest instalment in the Spirit series offers state-of-the-art components, including the Infinity ignition system renowned for reliable starts. 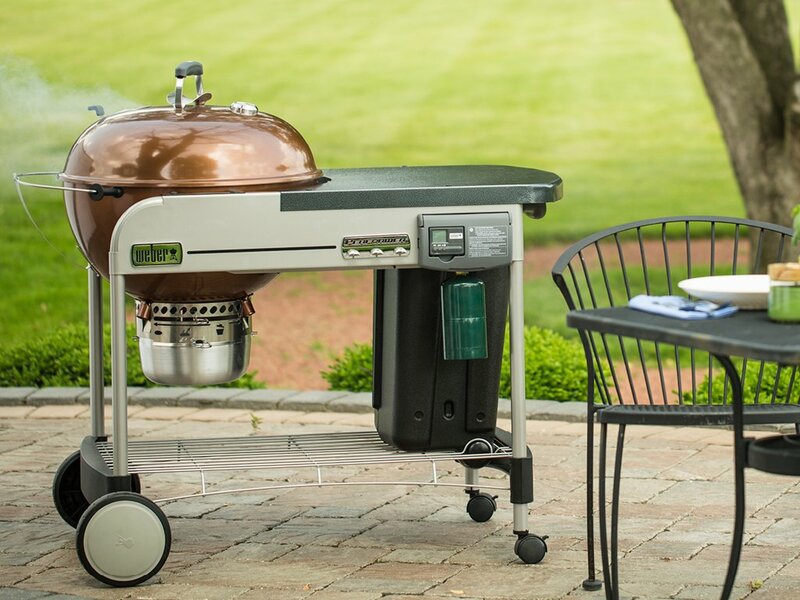 This model has upgraded to a larger grilling space than previous versions.The larger Weber designs are awkward to move, especially units with only two wheels, making it a better fit for a dedicated grilling area. Those individuals looking for a more compact unit may prefer the Weber 60014001 Genesis II LX E-240 Liquid Propane Grill (Two-Burner). The ignition system is great, and the side burner gives a little versatility in a smaller family grill.Compared to the larger models mentioned above, the two-burner grill can feel limiting for more ambitious grilling. 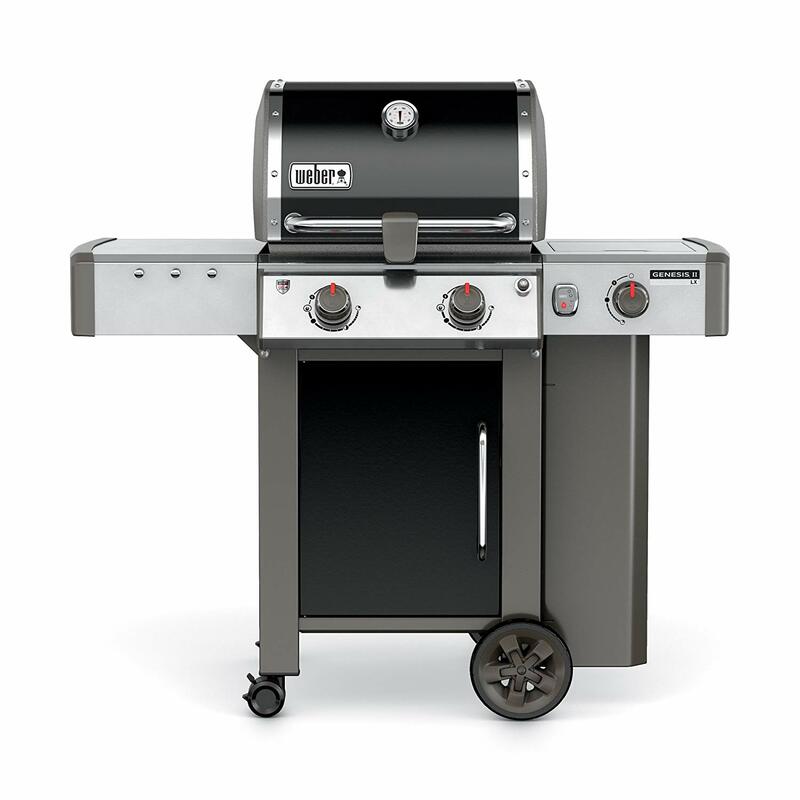 To attain Weber quality at an affordable price, consider the Weber 15501001 Performer Deluxe Charcoal Grill, 22-Inch. While these units include a convenient automatic charcoal lighting system, it does require the purchase of small propane capsules. Experienced grillers may prefer a larger space and long-term efficiency of a full tank. For grilling on the go, Weber also offers the ultimate portable grilling solution in the Weber 54060001 Q2200 Liquid Propane Grill. This unit is durable and reliable, but the quality entails a larger price tag than most competitive models. Charcoal Grills are preferred among barbeque enthusiasts. Though there are many types of grills such as the Pellet Grills, Gas Grills and Infrared Grills, the Charcoal Grills are preferred among barbeque enthusiasts. A charcoal grill is a grill that uses briquettes as its main fuel. E.G. Kingsford, the inventor of the modern charcoal briquette, didn’t likely foresee how much change the charcoal grill would go through in the future. Grilling comes to us with a past that reaches out into the pre-colonial times. Our ancestors grilled on wooden structures, during a time in which there was no stainless-steel. Today, it is the charcoal grill that seems to be ahead of all the others in the market. And the Weber Charcoal Grills are at the top of the list. These grills are the production of the Weber-Stephen Products Company, founded in 1893. Operating out of Palatine, Illinois and founded by George A. Stephen (Sr.), this company is renowned for the manufacture of charcoal and gas grills. They have kept a classic commitment to quality, and a willingness to keep working, building and improving their models. The Spirit E-310, Genesis S-310, Summit S-670, Performer, Weber Master-Touch Charcoal Grill 22”, Weber Q 100, the Portable Smokey Joe and the Ranch Kettle are just some of the proud Weber–Stephen products. 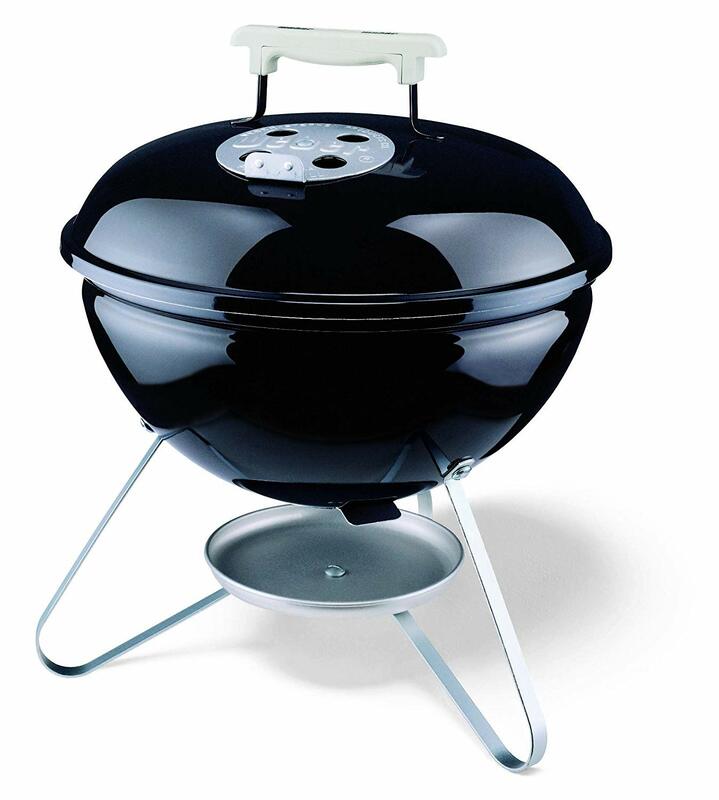 The Weber Performer gives you the best of both worlds, as it utilizes charcoal and includes a 5-gallon propane tank. The sizeable storage area allows for large amounts as well as variety, and the whole unit is easy to clean. 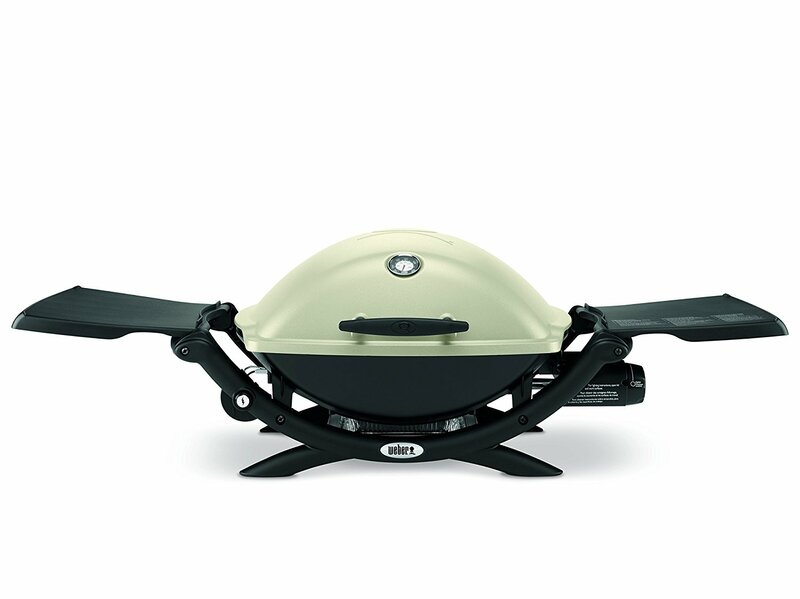 This model is durable and long-lasting, providing more features than conventional charcoal grills. You can pour the charcoal, push the start button, give a moment and turn off, and you are ready to grill. This line of Weber charcoal grills features a round design, providing control of focus heat and a 22.5” plated steel grate grilling surface. It is capable of limited smoking and includes hinged sides, which allow for easy coal replenishment. Given other models can be a challenge in themselves just to replenish, this helps to avoid that. The central grating can also be removed with ease. The biggest advantage to the Weber 10020 Smokey Joe 14-Inch Portable Grill is the compact size. Small foil trays can be used to add smoking chips for extra flavour, such as at a campsite with freshly caught fish. Easier clean-up, smaller footprint, and less fuel required make this an appealing companion grills for outdoor enthusiasts.These are just a sample of the charcoal grills offered by Weber-Stephen, each offering perks and features to fit individual needs. There are many models with different features and functions, with a match to every style and preference. Individuals and families alike can enjoy the flavour and fun of the outdoor grilling experience! This portable grill is quite the departure from Weber’s traditional kettle designs. If you live in a condominium or a city apartment, or even a townhouse, then cooking with weber gas grills might not be the most practical solution. 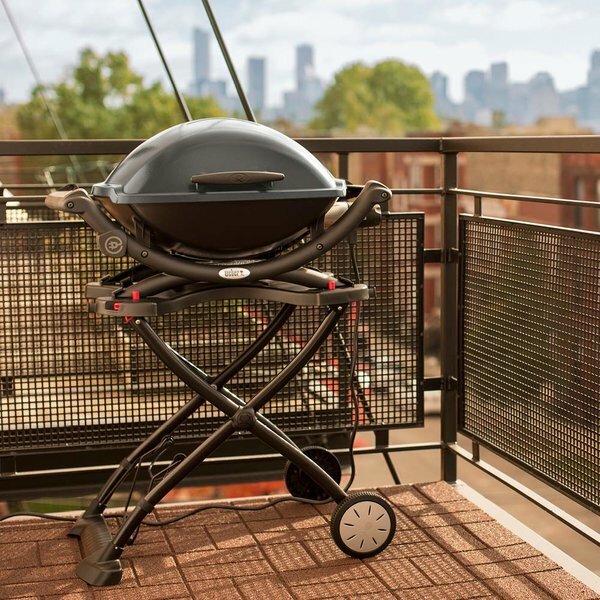 In some cases, outdoor cooking with a gas grill may even be forbidden by building management, particularly if your only outside space is a small patio or balcony. In cases where you can’t use a high quality gas grill, you can still get an authentic experience from Weber Grills. 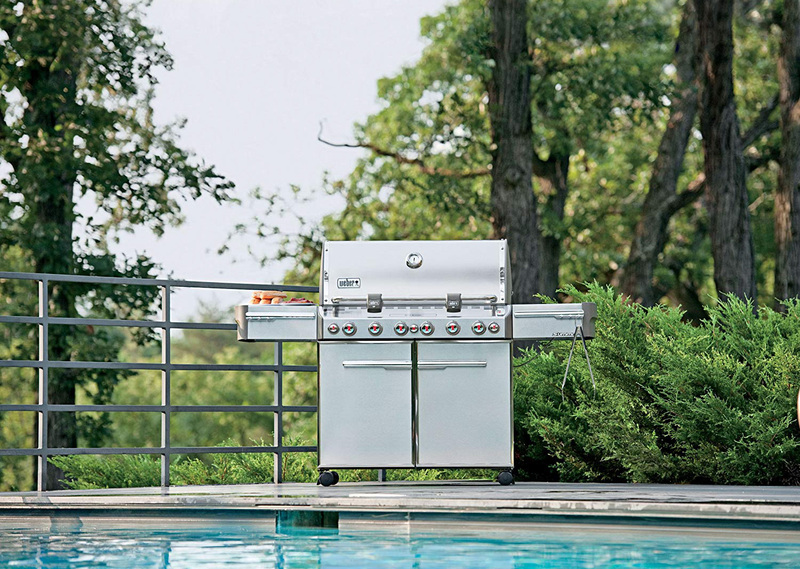 Many of the company’s design innovations carry over to the electric line of grills, including the Weber Q 2400 and Weber Q 1400. This portable grill is quite the departure from Weber’s traditional kettle designs. It’s more similar to an electrical tabletop grill in looks, and most would agree that it’s quite attractive. Quality steels and plastics are used in the construction, and it feels good enough to take on the road.The hooded design allows for some closed top cooking, keeping temperatures high when grilling steaks, burgers, fish, or anything else that would benefit from some extra convection heat. The number of portable grills on the market has increased dramatically in recent years. Almost every manufacturer makes some form of portable grill, and there are even some that specialize in them exclusively. In Weber’s Q line these models provide adequate heat, have a sturdy design, and the cooking surface is enough for two to four people. The Weber brand stands for reliability and longevity, and there’s nothing in the design or construction of this grill that would make us doubt the quality of the product. If you’re a fan of Weber and like their designs, then this would be a great purchase as your secondary home grill or portable travel grill. These electric grills can be used on top of heat resistant surfaces, or with an accessory stand, the Weber 6557 Q Portable Cart for Grilling. These grills are able to achieve low or high searing heat, which can closely emulate the experience that you’ll get with Weber Gas Grills. 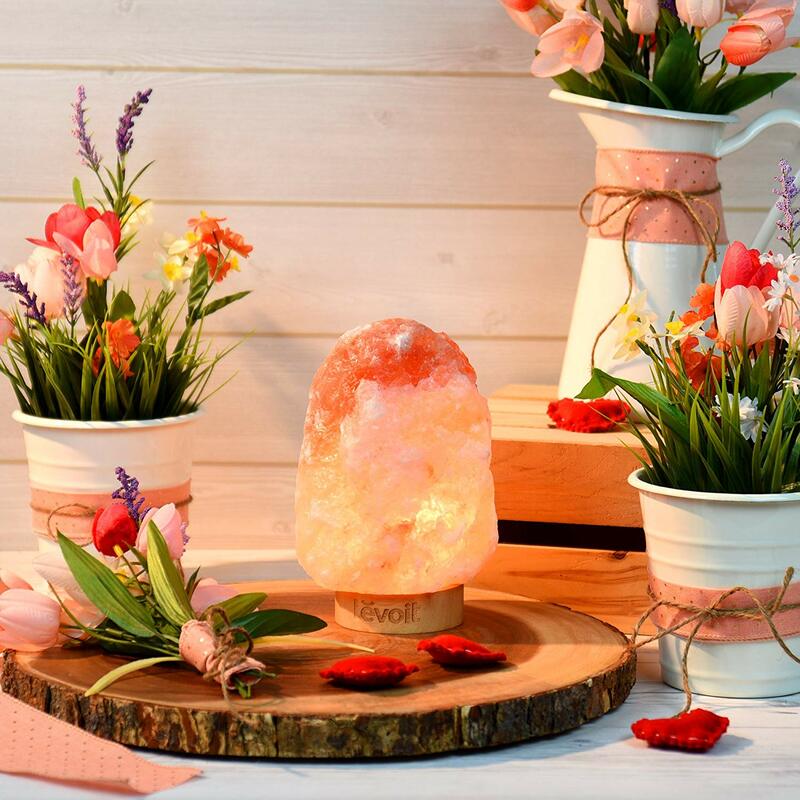 Because they’re electric, they can be used almost anywhere, making for a good alternative in a small home, or even a backup for the winter when you won’t be using your main grill. 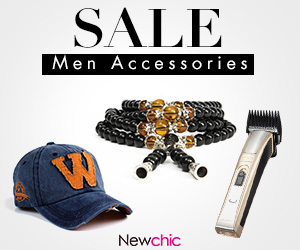 Are Accessories Available for the Weber Grills? If you want to get even more out of your grills, then you could purchase any of the premium Weber accessories that are available. These have been designed to add additional cooking options, and in some cases will ensure that your grill will last longer. The Weber Premium Grill Cover is a high quality weatherproof cover designed for the 300 series grills. You’ll want to invest in one of these if you will be storing your grill outside in a semi-sheltered area. Weber also offers special grilling accessories like their grilling basket, which clips closed to hold fish, small pieces of meat, or sliced vegetables. There’s also a special griddle available, and a deluxe grilling pan for cooking meat, or even bread inside of your grill. You can also use any of your own stainless steel or cast iron accessories, provided they fit safely inside of the main grill. How Good is Weber’s Customer Service? When you purchase a grill you will want to think of it as a long term investment, and that means that you should expect a high level of customer service, and a robust warranty plan in case anything should go wrong. Weber gas grills are made with premium materials, using finishes that will help them to stand the test of time. If you want a grill that will last, then Weber should be one of the first names that comes to mind. Weber is confident in their manufacturing and quality control process, which is evident in the fact that they provide a 10 year warranty on their gas burner tubes and porcelain-enameled grill lids, and a 5 year warranty on the grill grates and flavorizer bars. Customer service is available over the phone – 1-800-446-1071 – (which is a great improvement over some companies that only provide online contact forms), and consumer feedback has been positive regarding the warranty process and the helpfulness of the Weber service center. In terms of standing behind their products, Weber definitely ticks all of the right boxes. What do Consumers Say About Weber Grills? You should never take a brand at face value, and even after thoroughly reading through professional reviews, it’s just as important to check consumer testimonials so that you can get a better idea of a product’s quality and suitability. The staying power of the Weber brand is a good indicator that they’re doing something right in terms of quality and design, and the feedback from owners can easily back up that assumption. 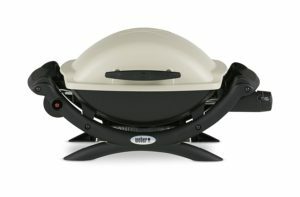 What type of Weber grill is best if I’m new to grilling? A Weber gas grill is usually the best option for beginners, due to easy operation and maintenance/clean-up. Starting the grill requires the turning of a few dials and pressing the ignition button, the grill heated and ready in minutes. 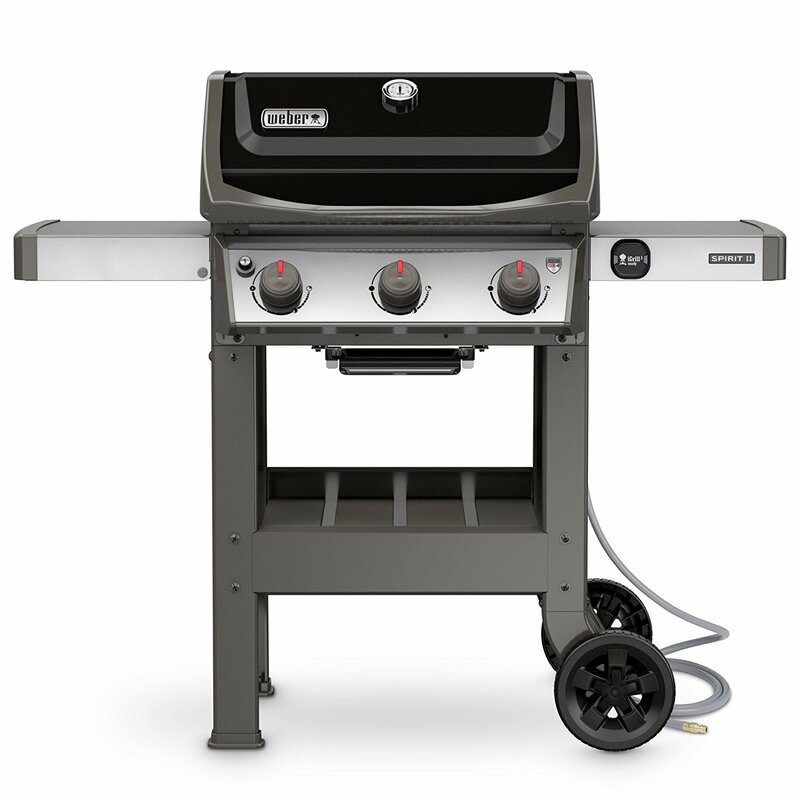 Can a Weber propane grill be converted to a natural gas grill, or vice versa? Weber does not permit converting a propane gas grill to a natural gas model due to safety concerns. The process would require disassembling the grill and gas components, which can be very dangerous and may not result in a functional grill. Can I use a Weber electric grill in rain or snow? While the Weber electric grills are meant for outdoor use, they should not be used in rain or snow for safety reasons. It is possible that an electrical malfunction may occur if the grill gets wet, which could lead to electrocution or fire. You may have heard the line; it’s not a grill, it’s a Weber. It’s a simple statement the reinforces the fact that Weber is a brand that usually stands above all other grills in the same class. In many cases, a Weber can even outperform a more expensive grill. 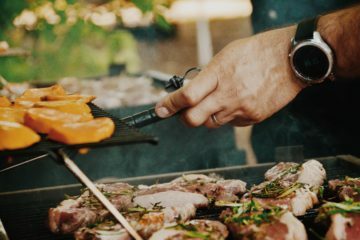 Weber became famous for the charcoal grills, but technology and lifestyles have changed significantly in the past six decades. People don’t have as much time to wait for a charcoal grill to get up to temperature, and many simply won’t want to deal with the cleanup that is involved with a charcoal grill. Weber gas grills represent the best alternative to charcoal. If you’re looking for a grill that is of the highest quality, using premium materials and design that still remains affordable, then Weber should be your go-to brand. Your investment will last for many years, unlike some grills which have a usable lifespan of 3 – 5 years. You’ll get the perfect grilling experience, and you’ll be proud to use a Weber grill in your backyard when cooking for the family or guests at your next gathering. Weber Smokey Mountain Cooker Review – The Best Charcoal Smoker? Char-Broil CB940X Review – One of the Best Charcoal Smoker & Grill. Is the Char-Griller Akorn Kamado Kooker the Best Grill Smoker Combo? Char-Broil American Gourmet Smoker – The Best Offset Smoker? Is the Marsh Allen the Best Hibachi Grill to Buy?